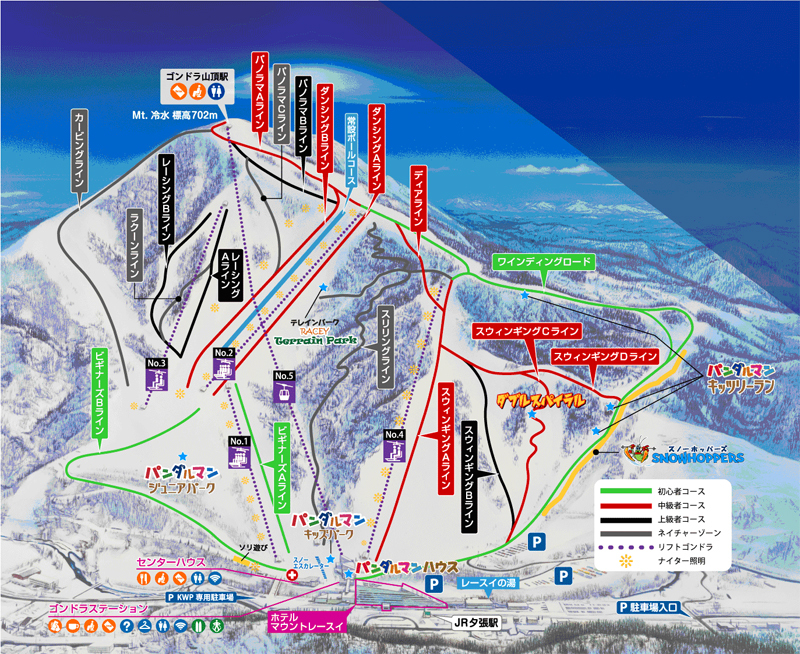 The Mount Racey Resort is a small ski area located in the Hokkaido town of Yubari, a short distance from New Chitose Airport and Sapporo, and like many of the Hokkaido resorts receives a consistent snowfall and dry powder. Despite it’s relatively gentle slopes, the area has some great tree runs and steep ungroomed runs to enjoy with some as steep as 45 degrees. 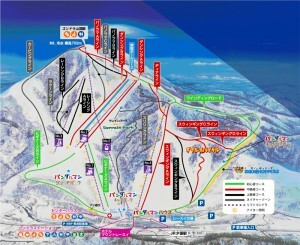 The main resort consists of the Hotel Mount Racey which offers easy ski-in-ski-out access as well as classic Japanese onsen hot spring facilities and the freshest Hokkaido produce. Yubari and Mt. Racey are located a short drive from Sapporo and New Chitose Airport, with multiple bus services operating between the areas, including a free shuttle for guests staying at Hotel Mount Racey or Yubari Hotel Shuparo (reservation necessary). Other services include the Yutetsu Bus which departs from the Shin-Sapporo Station bus terminal, and the “Yubari-Go” which departs from Sapporo Station. 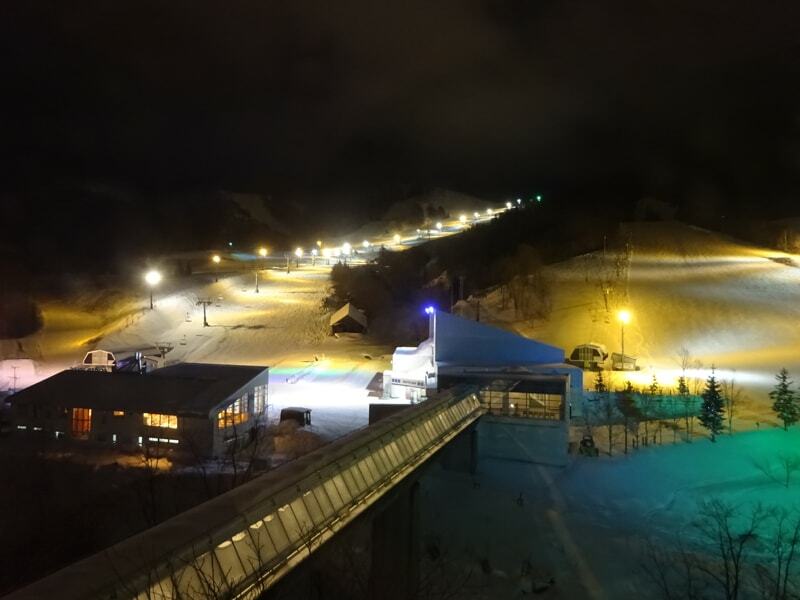 If you are looking to travel from Chitose Station or New Chitose Airport, the Mount Racey-Go Shuttle Bus service stops at both Hotel Mount Racey and Yubari Hotel Shuparo.